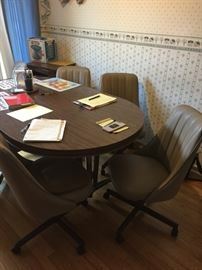 AddressThe address for this sale in Naperville, IL 60565 will be available after 9:00am on Thursday, May 2nd, 2019. Pricing information will not be available prior to the sale. All items are sold as is so please carefully inspect your items prior to purchase. All sales are final. 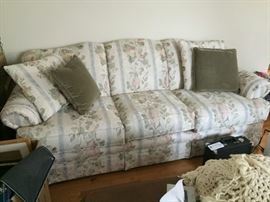 Buyers must remove all items by close of sale and bring own help to move large items. Absolutely no exceptions. We accept cash, checks with proper ID, and credit cards for sales of $20 or greater plus a 3% processing fee. We are not responsible for accidents or injuries during the sale. No large bags allowed in the home. We provide shopping bags for your convenience. 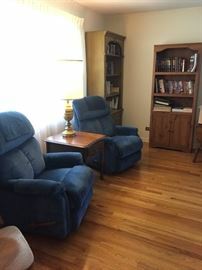 Two beautiful Lazy Boy matching rocker recliners in excellent condition. These will go fast. 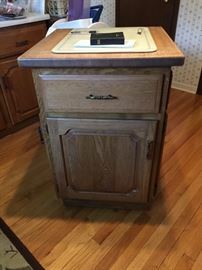 Rolling cabinet—perfect for extra storage in your kitchen. 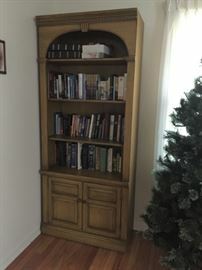 There are two of these solid wood bookcases. Perfect milk paint project! One of two very nice solid wood end tables in excellent condition. Ethan Allen Dough End Tables. Loads of storage! Solid wood six drawer dresser. Approximately 5 feet wide. Perfect for bedroom. Lovely solid wood coffee table in excellent condition. Lazy-boy rocker recliner. Looks like new. 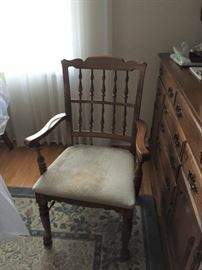 One of two of the Ethan Allen arm chairs that goes with the table. Solid maple. 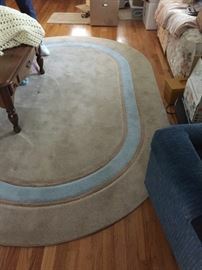 Oval rug — approximately 6x5. 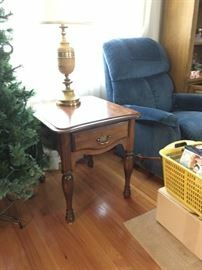 Ethan Allen Slate end table. Perfect condition. IKEA futon with cover. Like new. Get it now for the college student you’ll be packing off some August! Mid century dresser and mirror. Mid century solid wood dresser. 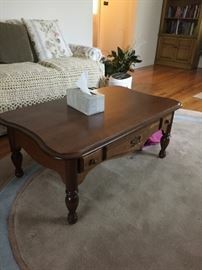 Ethan Allen slate coffee table and solid wood chair. Mid-century Kroehler dresser (part of three piece bedroom set). Sorta queen size mattress. Very little use. Looks new. Includes box spring. Small pine dresser. Needs a little TLC. Full to queen size headboard. 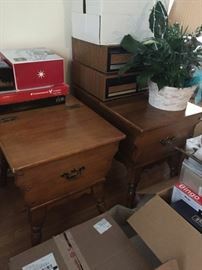 Part of Koehler bedroom set. Another queen size mattress with a like new metal bed frame. Assorted office furniture. Desks. Book shelves. Chair. Solid maple captains chair. They don’t make them like this anymore! No excuses! Get your steps in without leaving home. Nice electric treadmill. Rustic storage cabinet. Very well build. With a coat of paint this would be perfect for a family room. Jim Shore Christmas figurines. Angles and Holy Family. Comfy love seat. In great shape. Ethan Allen Maple dining table. 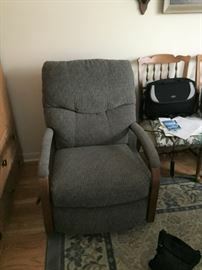 Includes 2 leaves, 4 chairs, and 2 arm chairs. Excellent condition. Loads of Precious Moments collectibles. Ethan Allen maple hutch. Beautiful and functional. 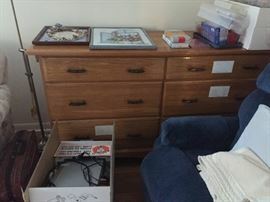 Lots of family friendly VHS tapes plus storage cabinet that fits CDS and DVDs. Loads and loads of DVDs. Many are holiday themed. Fisher Price pack and go; Fisher Price booster seat; V-tech baby monitor and child size wood rocker. Loads of games. And for those you prefer the old-fashioned way to find an answer—two sets of World Book encyclopedias! Vintage board games such as Yahtzee and Scrabble. Depression glass pink cake plate. Silver plated serving dishes. Various silver plated serving dishes. Glass pedestal cake stand it’s cover. Assorted candle stick holder and silverware. Some sterling silver ware. Vintage formal dress. Lots of clothes—many that are older. All sized between 10 and 14 petite. Scarves and accessories as well. Pressed glass toothpick holders. Vintage wood salt and pepper shakers. Yep, it’s Christmas in May. From decorations to dish towels, stock up now. Vintage bar items. Drink shaker. Shot glasses. If you love to read Christmas stories, then check out this collection. Lots of artificial flowers. All in good condition. We have about 4 times the amount shown here. Picture frames galore. Wood. Metal. All in very nice condition.